Sub Caption of image one goes Here. This can say anything. The International Brotherhood of Electrical Workers was founded November 28th, 1891 in St. Louis, Missouri. Currently the IBEW has about 850 Locals, with over 750,000 highly trained members, and growing. IBEW Local 34, an affiliate of the International Brotherhood of Electrical Workers, was founded in September 1899 in Peoria, Illinois. 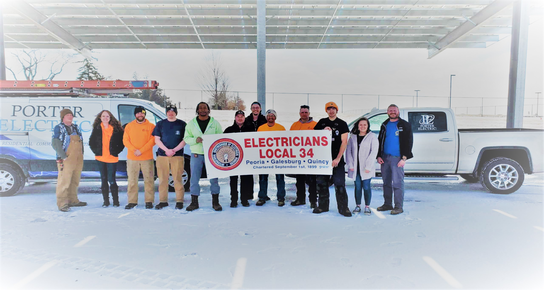 Electricians' Local 34 has a positive and progressive Labor-Management relationship with the Peoria Chapter of the National Electrical Contractors Association (NECA). 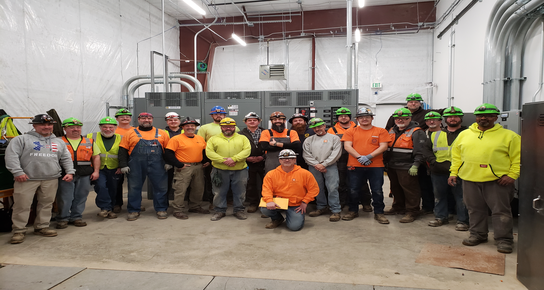 Together, we work together to see that highest standards of craftmanship and safety are maintained, and that our customers receive the best value in the electrical industry. Local 34 received its original charter on September 1, 1899. Local 67 was chartered in 1895 at Quincy, Illinois, and was amalgamated into Local 34 effective October 1, 1976. Local 184 was chartered in 1901 at Galesburg, Illinois, and was amalgamated into Local 34 effective January 1, 1977. 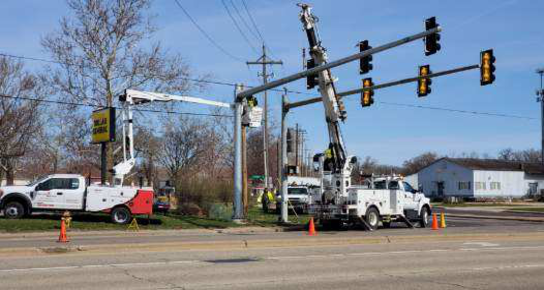 Due to geographical distances, local unit meetings are held in Quincy and Galesburg. The regular Union meeting is held in Peoria. Questions/Comments: 309-673-3691, or email us HERE.